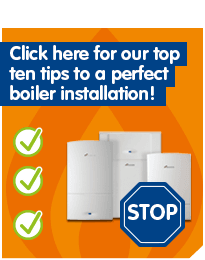 Need a new boiler? Here are our Top Ten Tips to make sure you ask the right questions to prevent your installation being a disaster. One of the unsung heroes of your home is your boiler, it just sits there and is overlooked until its yearly service or when you have a problem and you need us to come repair it.